Although the family of the church at St Hilda's is small, those who attend on a regular basis are faithful, dedicated and welcoming. The style of worship is modern Anglo-Catholic. 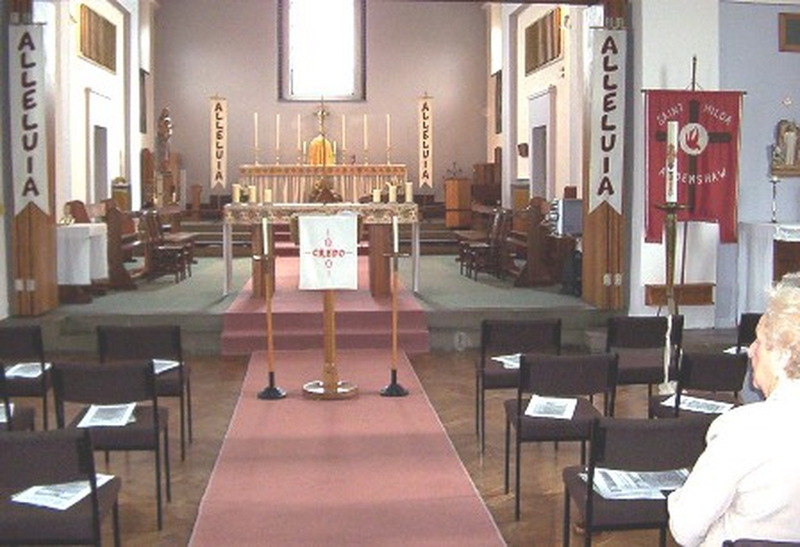 St Hilda's is also designated as an A+B parish and a member of Forward in Faith. The main service of the week is the 10.30am Family Eucharist on Sunday morning. This lasts for an hour and includes hymns, prayers, readings and Holy Communion. On Wednesdays, there is a short service of Communion at 10am, which lasts between 20 minutes and half an hour. A warm welcome is extended to visitors and friends at both services. Should you wish to discuss Baptisms, Weddings or any other matter, Fr John (vicar of St Hilda's) is usually available after services. The vicarage is in the grounds of the Church and should you wish to make an appointment, please ring 0161 336 2310. The church is open on Wednesday morning for our Coffee Morning:~ please feel free to pop in for a coffee and a chat. between 10.30am and 11.30am. Following the Coffee Morning, is a weekly Tai Chi session. The church hall - situated within the church building - is a hive of activity on most weekday evenings. We have a thriving Scout group which has played an important role in the life of St Hilda's Church for more than four decades in its present form. During the year, the church organises a variety of social events, of which the highlight is the Garden Party, held in the church grounds on the fourth Saturday in July. This is now firmly established as a fun day for the whole parish, enjoyed by young and old alike, as well as giving a welcome boost financially towards the upkeep of the church.